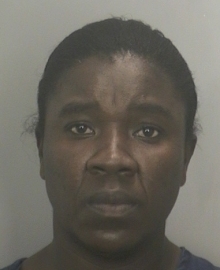 Marguerite Martial Jean has been arrested in Florida on felony charges of operating a $3.4 million Ponzi scheme that targeted Haitian-Americans and churchgoers in the Sunshine State. Florida has been plagued by Ponzi schemes and other forms of financial fraud. The announcement of Jean’s arrest was made by Miami-Dade County State Attorney Katherine Fernandez Rundle. Joining Rundle in the announcement were Tom Cardwell of the Florida Office of Financial Regulation, and Jeff Atwater, the state’s chief financial officer. Jean, 38, was charged securities fraud, grand theft and organized scheme to defraud. She is being held at the Paul Rein Detention Facility. Bail was set at $300,000. Authorties said Jean fleeced at least 293 victims through her companies, which were known as MMJ’s Warehouse and VLM Enterprise. Among other things, Jean posed as a buyer and seller of rice from India who shared money she made on the spread with investors, authorities said. “Jean promoted the investment offering to members of her church congregation guaranteeing her promissory notes and made promises to pay investors as much as 22% interest,” authorities said. When investigators reverse-engineered the scheme, a “bank analysis revealed that investor funds went to Jean’s personal account, which she subsequently used to pay older investors and finance her lifestyle,” authorities said.